June News | Doris S. Michaels Literary Agency, Inc.
“If we are to create a global economy that works for the nine billion people forecast by midcentury, then for the sake of the global climate and for the survival of many other species we have no option but to turn today’s capitalism inside out and upside down.” -John Elkington, author of THE ZERONAUTS. 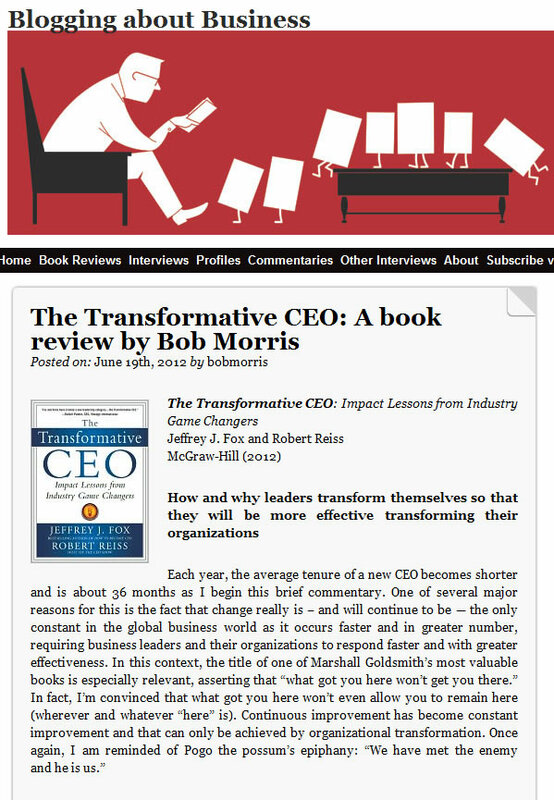 The full book review by Bob Morris for TRANSFORMATIVE CEO by Jeffrey Fox and Robert Reiss can be foundhere. dollars to produce so they can be watched worldwide by billions of people. for the first time on the very day of the competition.